French Brown offers clients 10 years of experience practicing in state and local taxation. Prior to joining Dean Mead, he practiced at Hopping, Green & Sams. 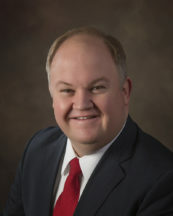 He began his legal career at the Florida Department of Revenue, where he quickly rose to the position of Deputy Director of Technical Assistance and Dispute Resolution. There he oversaw more than 50 department attorneys, accountants and auditors in charge of legal guidance, agency rulemaking, and informal audit protests. Mr. Brown assists businesses with Florida tax planning and controversies. Represents clients on state and local tax issues before the Florida Department of Revenue, in the Florida courts, before the Division of Administrative Hearings and the Florida Legislature. Represents businesses before the Florida Legislature by monitoring and reporting on legislation, preparing amendments, testifying before legislative committees, developing coalitions and advocating clients’ positions to legislators and legislative staff. Served as Deputy Director of the Florida Department of Revenue, Technical Assistance and Dispute Resolution, and counseled the agency on a variety of state and local tax issues, including Florida’s communications services, corporate income, documentary stamps, and sales and use taxes. 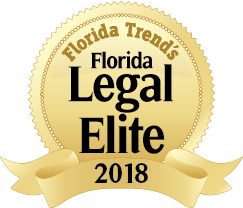 Counsels and represents corporate clients with Florida sales tax problems, including commercial rental transactions, real estate development, manufacturing operations, retail operations, construction, publishing, electric and telecommunications utilities, financial services, entertainment and hospitality industries. Advised study commissions and task forces on state and local tax policy, including the Communications Services Tax Working Group (2012).